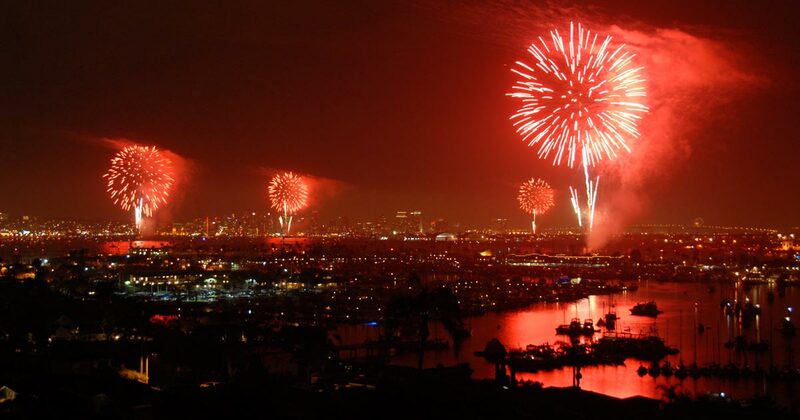 Visiting San Diego for the 4th of July and don’t want to deal with the crowds or the traffic? Then here are a few bayfront hotel options with rooms that view the impressive Big Bay Boom fireworks display. Your hotel not on this list? Tell us in the comments below. When your not marveling at the massive amounts of Big Bay Boom fireworks, take some time to explore everything else San Diego has to offer during the perfectly warm summer months. With friendly locals, 70 miles of beautiful coastline, world-class attractions, award-winning craft beer, dramatic entertainment options, unique Cali-Baja culture and cuisine, and a laid-back vibe all its own, California’s Beach City is perfect for the young and young at heart. Luxury-seekers will find seaside and mountain view resorts whose sole purpose is pampering. Offering fine dining, golf, spa, yoga and all of the luxurious amenities one would expect. Downtown you’ll find hip and trendy boutique hotels in and around the Gaslamp Quarter, the heart of San Diego’s sizzling nightlife scene.